Marketing is the most critical component of building and maintaining a successful company. 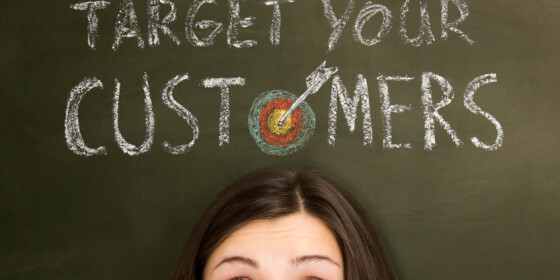 But how can your marketing generate results if you don’t know who your target market is? Chances are, you’re randomly implementing ideas and hoping that something resonates with those who hear your message. This equates to wasted time and money because your campaigns are not focused. But when we start to dig deeper and ask detailed questions, clients are at a loss on how to describe their best customers. As the team hired to implement marketing campaigns, we need these details! We won’t know what to say on social media if we don’t know who you want as a customer. We can’t help develop marketing messages if we don’t know what pain points you’re solving. What’s the lesson here? Create a buyer persona for each of your target markets. Combining all of these points into a written buyer persona will make it much easier for you to create targeted marketing campaigns. You’ll know the process that each buyer goes through in order to commit to a purchase. You’ll know what hurdles you might face during the selling process. And you’ll know which marketing tools (i.e. – social media, email marketing, news releases, etc.) are the best ways to reach each buyer. Although creating even one buyer persona is useful, it is ideal to have a persona for each target market. This enables you to more successfully reach each set of customers. For example, building separate buyer personas for the parents and teens of a driving school will allow you to connect with each target market. The parents will be driven by one set of concerns, and the teens by another set. And you need to understand how their decision-making processes differ. Each buyer persona requires a slightly different marketing message. What should I include in each buyer persona? It is important to include as much details as possible. You should include details such as: gender, age, financial situation, marital status, occupation, values, personal and professional goals, their specific buying habits and the reason that they would choose to buy something from you. Ultimately, the goal is to create buyer personas for each of your main target markets so that it will be easier for you to understand their needs. Taking this approach simplifies the marketing process because you can speak directly to each buyer persona by utilizing your knowledge of the things that are most important to them. How do I put my company’s buyer personas to work? You need to reference each buyer persona to make sure that your marketing campaigns use the right message and the right tools – by tools we mean blogs, news releases, social posts, etc. Campaigns that are aimed at a teen buyer will be very different from those aimed at their parents. Following these guidelines will allow you to get the most of your marketing budget, and you will also be able to more easily reach out to the appropriate target markets to improve your sales. What if I have no idea who my best customers are? For new companies, it can be difficult to understand who your best customers are. Maybe you haven’t been in business for very long. Or maybe you never worked through the process of creating a buyer persona. A buyer person doesn’t have to be perfect the first time. If it brings clarity and focus to your marketing, then it’s working. Remember, you will revise your buyer personas as you collect more information about your best customers, and as your company evolves. Have more questions about buyer personas? Leave a comment below and we’ll respond!